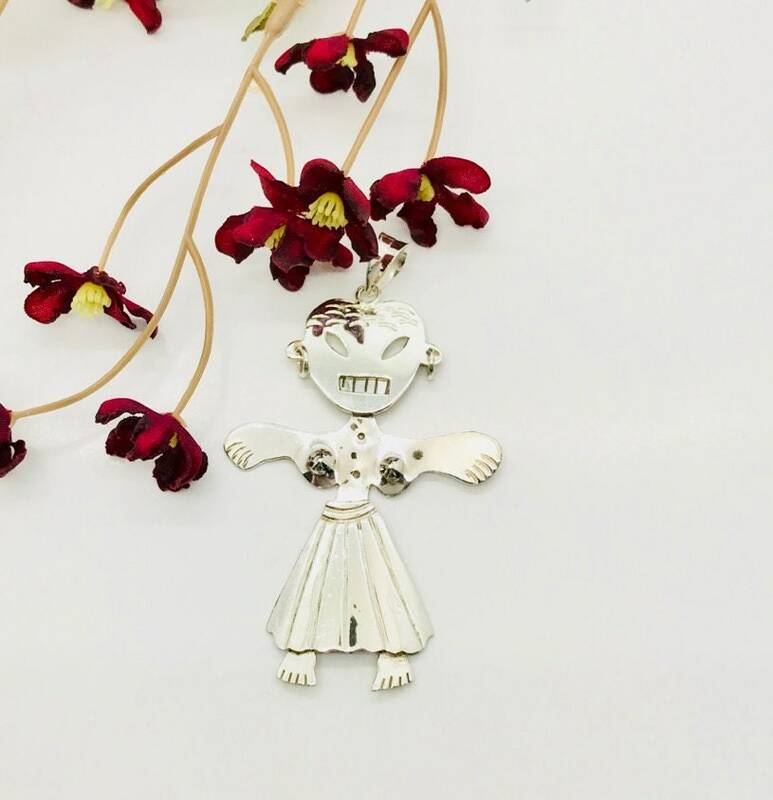 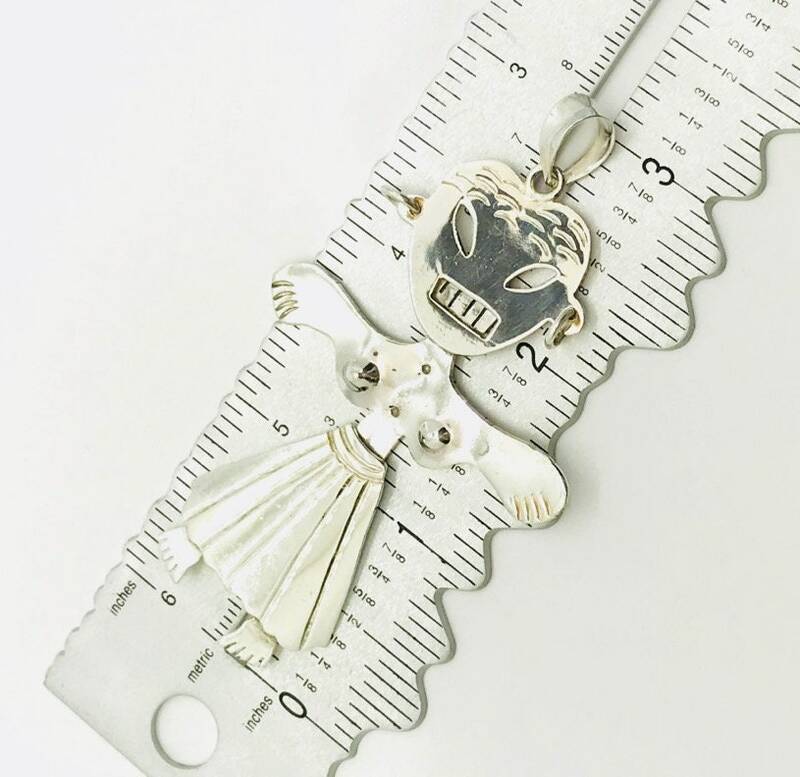 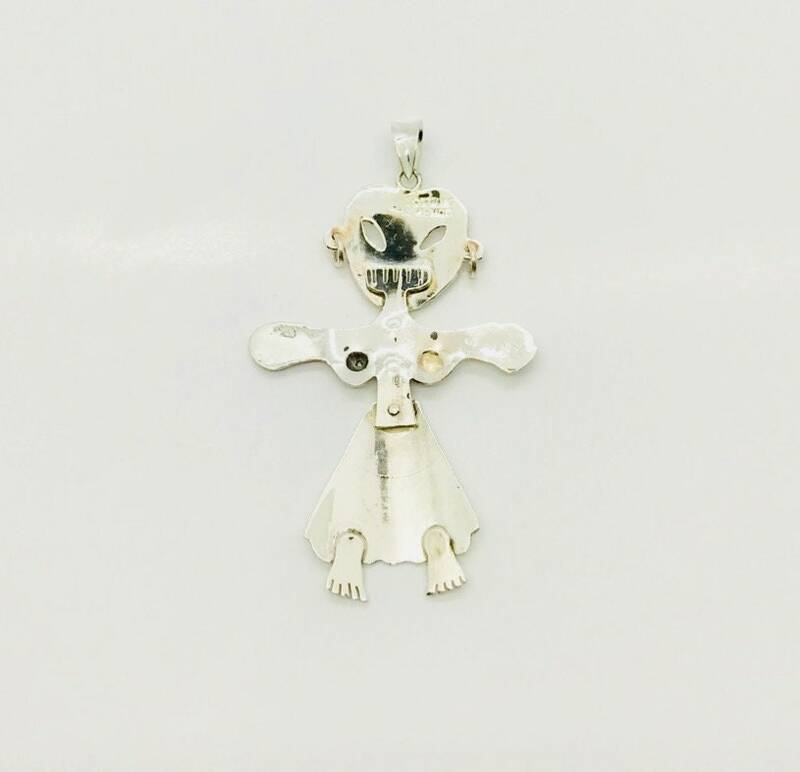 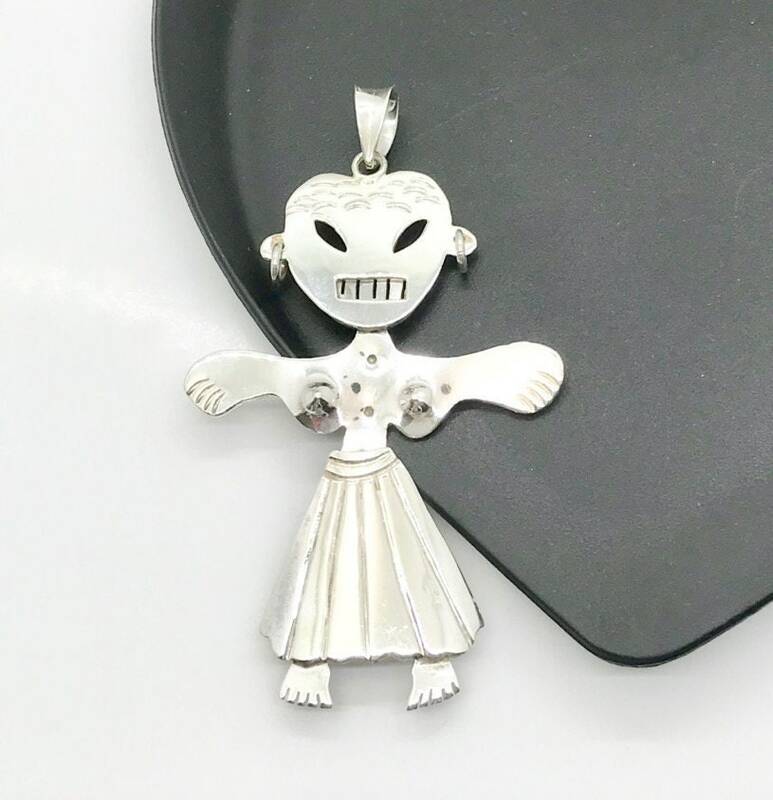 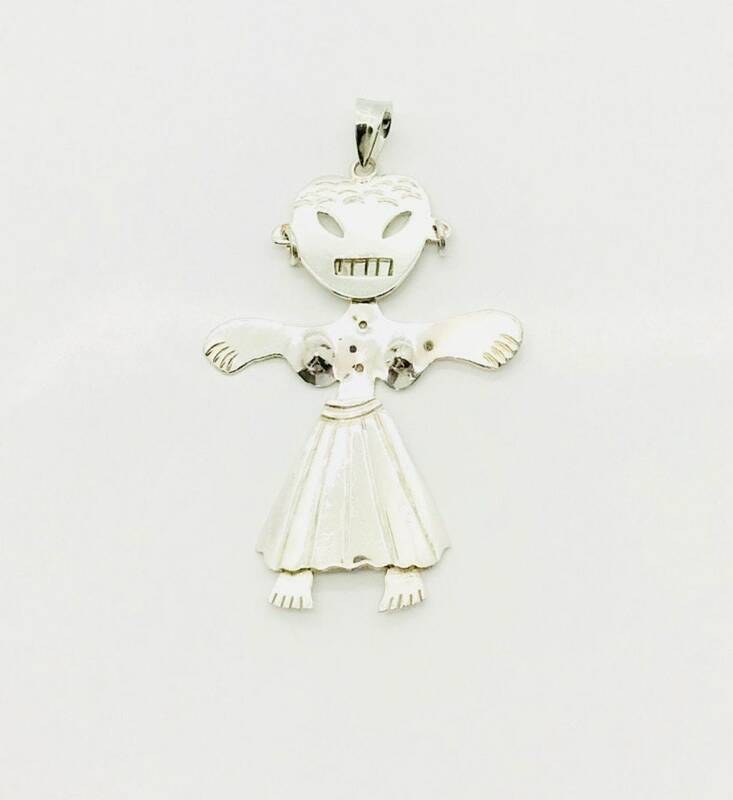 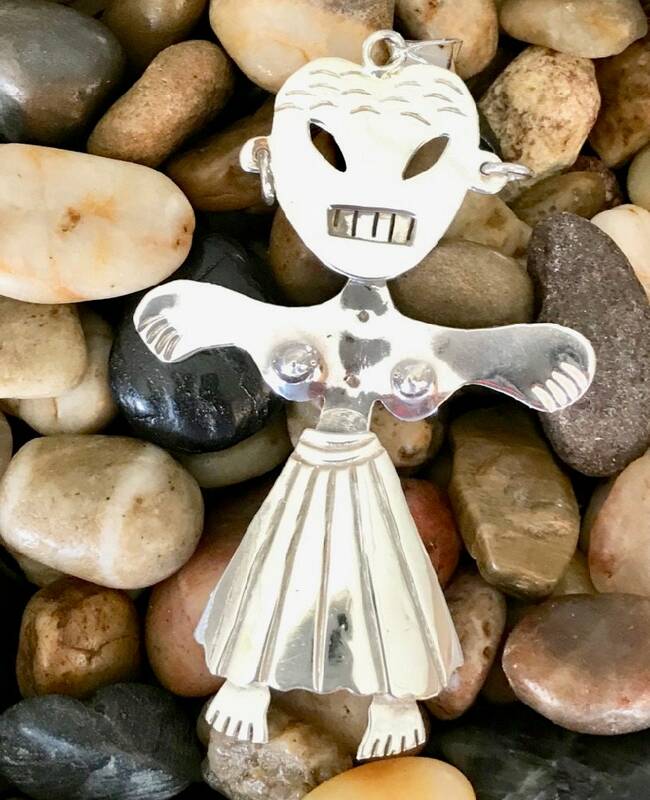 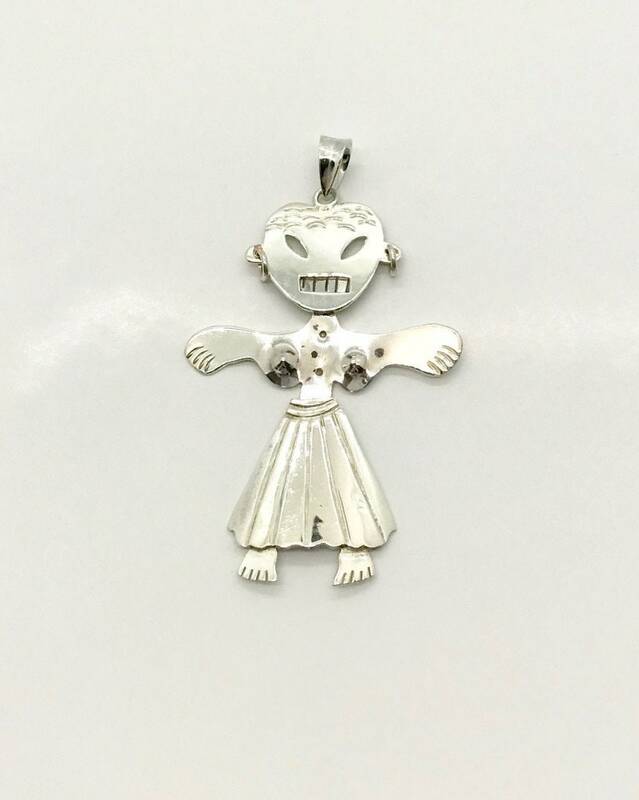 Sterling silver girl pendant dressed in a skirt and earrings. 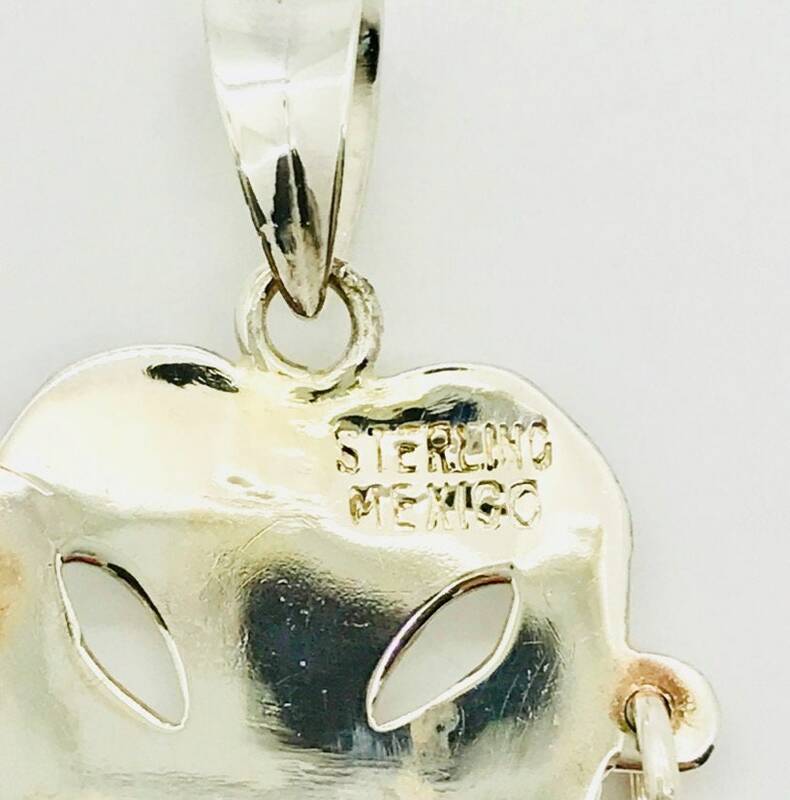 The pendant is stamped "Sterling Mexico." 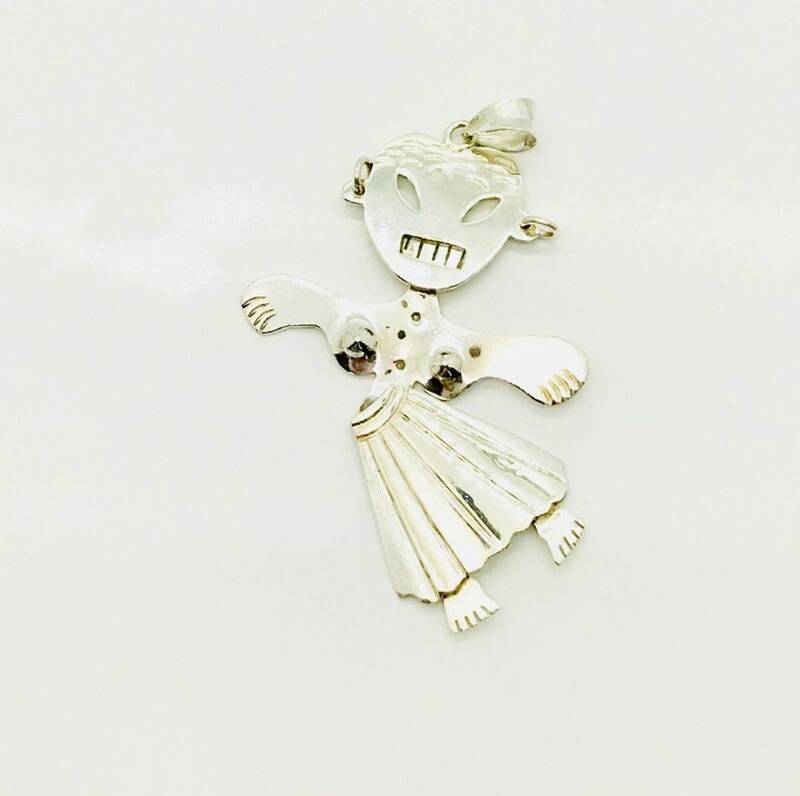 Jointed at the waist the girl moves freely...she is wearing hoop earrings and sports a very toothy smile!